Center for Primary Care Advice Nurses are, from left, Michelle Curry, R.N. ; Robin McIntyre, R.N. ; and Estee Manio, R.N. 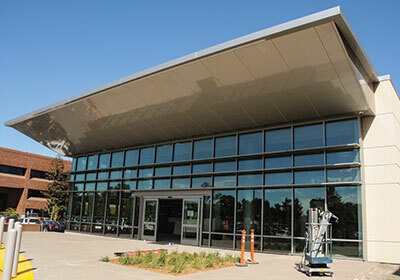 The Welcome Pavilion at NorthBay Medical Center opens next week, giving patients and visitors a long-awaited new lobby. The Pavilion will serve as the communication hub of the hospital, with an expanded PBX office and information desk for patients and visitors. The Pavilion also will house a new 392-square-foot NorthBay Guild gift shop. A vehicle turnaround and drop off area is located directly in front of the Pavilion. This is where you will find valet parking. All road and parking construction at the North end of the campus is complete, creating safe passage around the next phase of construction. Construction on both the expanded Emergency Department and the new three-story wing begins in November. When the Pavilion opens, the old hospital lobby will close and demolition begins to expand the Emergency Department into that space. Construction will be separated from the facility with temporary walls and construction barriers. Site work is underway around the future hospital wing, with excavation and construction beginning next month. This phase will take place during the next two years. Both the new wing and ER renovation will bring state-of-the-art technology to NorthBay Medical Center.